I read this article and found it very interesting, thought it might be something for you. 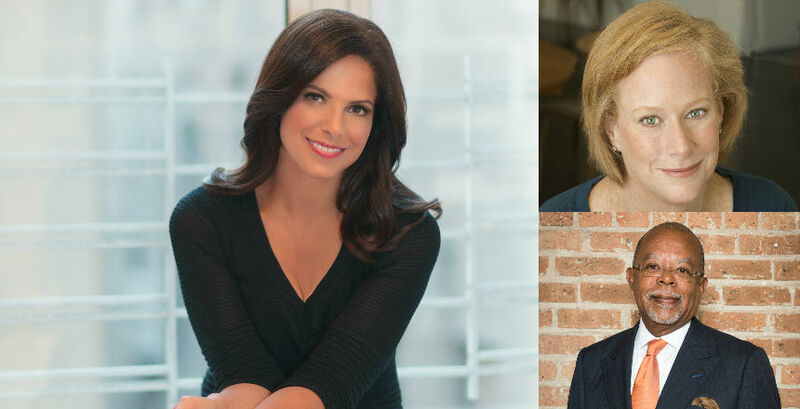 The article is called Henry Louis Gates Jr., Soledad O’Brien and Allison Gilbert on Remembering and Resilience and is located at http://modernloss.com/henry-louis-gates-jr-soledad-obrien-allison-gilbert-remembering-resilience/. Clockwise from left: Soledad O’Brien, Allison Gilbert (photo: Elena Seibert), and Henry Louis Gates Jr. It is a secret known to many wisdom traditions that facing the reality of death on a daily basis and being aware of its inevitability for all of us is not a morbid fascination. It is, instead, a key to living the fullest and richest lives possible. Why do Tibetan monks spend nights in a graveyard holding a skull in one hand and meditating upon death? Not for some otherworldly tantric ritual but to imprint deeply on their body/mind the inescapable message – life is finite, it will slip away before long, that skull will soon be yours. Therefore make the most of each day and pour your heart and soul, and your sense of meaning into everything you do! Unfortunately, we live in a culture in which the topic of death has been taboo. It has been medicalized to the point that few people actually experience it. Dying has become an inconvenient truth which we would rather forget. Instead of using death as our advisor, as the Yaqui shaman Don Juan encouraged, we try to forget about it – to our detriment. venue for holistic learning for the last 33 years, has been offering the Art of Dying Conference since 1995 dealing with spiritual, scientific and practical approaches to living and dying. This event takes the view that today there is a clear call to talk about death in new and more open ways and to consider how our views of death impact our experience of life. It operates from the perception that our culture is awakening to a more conscious view of our own mortality and post-death possibilities. This forum for engaging with both professional and lay participants about the greatest of all life’s mysteries aims to address these questions: How can we work more compassionately and intelligently with the dying? How can our own death and the death of those we love be faced with courage and awareness? Does consciousness survive death and, if so, what might we expect? How can death become much less frightening both for ourselves and for our loved ones? The NY Open Center will offer the Art of Dying 6 in New York in mid-October but this event is just part of an ongoing effort to deal more honestly and wisely with the whole phenomenon of grief and loss. To that end, on Monday, May 1st the Open Center will present an evening entitled Keeping Alive the Memories of Lost Loved Ones for Healing and Resilience with Henry Louis Gates Jr., Soledad O’Brien and Allison Gilbert moderated by myself, co-founder of the Open Center. By any standards, this is a fascinating panel with Harvard Professor Gates, host of the PBS program, Finding Your Roots, Soledad O’ Brien, former CNN anchor and founder of Starfish Media Group, and Allison Gilbert, Emmy award-winning journalist and author of Passed and Present: Keeping Memories of Loved Ones Alive. They will all address the creative steps we all can take to best remember those we loved and the importance of doing so. Remembrance itself is a powerful tool to build resilience and help to heal grief. This is evening will show us the way we gain confidence in ourselves and find our center in life, is dependent on how we remember those who went before us, from our ancestors to the loss of loved ones. Ralph White is co-founder of New York Open Center. The panel will be Monday, May 1 at 7 pm; the cost is $32 for members and $39 for nonmembers.